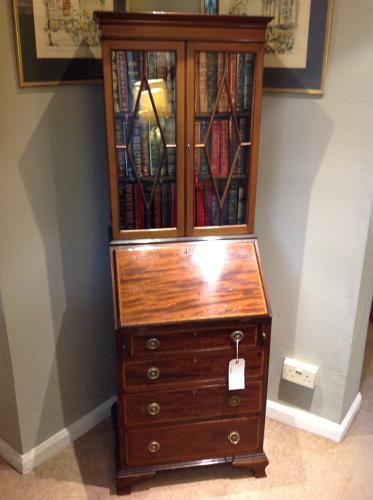 Edawrdian Inlaid Mahogany Bureau bookcase. Sheraton style bracket feet made by famous London Maker Old Times Furniture Company. A rare very small quality item.